Marilyn had the pleasure of meeting Norman Reedus, April 2014. He was so impressed with the baby Daryl reborn doll, he wanted one of his own so Marilyn gave him her! 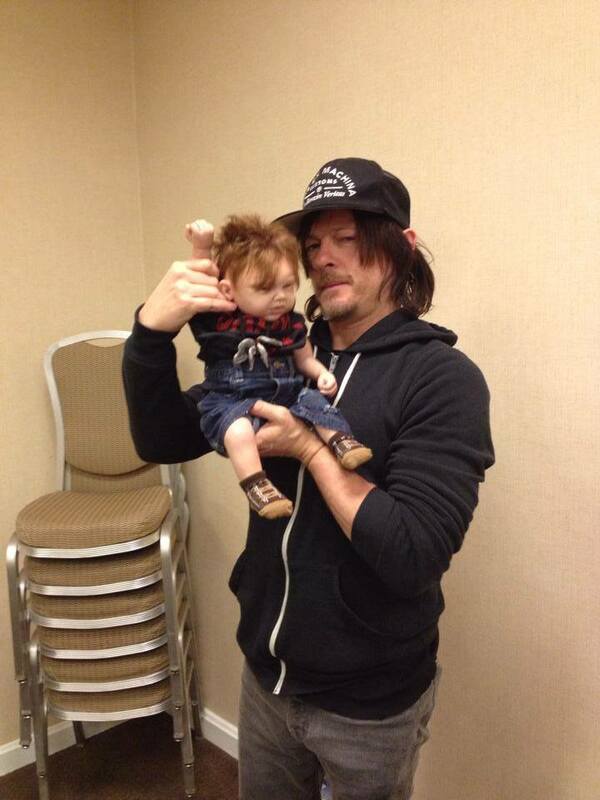 Baby Daryl now lives with Norman Reedus.